I trust science. Scientists, not so much. Now, I’d like to use a “mainsteam” source for this instead of Fox, but a google doesn’t show any of them reporting it yet. Perhaps The New York Times will mention it in its own good time, but regardless, we should not expect a fawning tribute to Dr. Giaever in the NYT Magazine, as the brave rebel who gave the intellectual finger to the reigning academic Powers That Be. The Leviathan of the Anointed has two heads, the academic establishment and the traditional media, a synchronized one-two bite that’s impressively deadly to its foes: one plays the game and the other prints the box scores, where the good guys always win. The rhetorical tactic is that creationism [on which the academy is surely correct] is leveraged into the self-evident truth of the academy’s other left-liberal positions on everything else: ecology, sociology, sexuality, history. Policy. I recently declined an invitation into the tall weeds of the AGW debate; two commenters accepted it and spent hours and hours of research and cut-and-paste to the net effect of zero. So I decline again–my point then and now is that the Anointed have squandered the public trust on all these issues, with their claims that “the case is closed” and the strong-arming of their critics under cover of scholarly authority. Another poll found that 57% of Americans trust the media to report “fully, accurately and fairly” not very much or not at all. The Great Unwashed may be dumb, but they ain’t blind. Our civic problem remains epistemological: that’s why we can barely have an adult discussion across ideological lines anymore. It’s my opinion that the Anointed of the academy and the media have betrayed their trust by their tactics. Whether or not that opinion is true, what’s a fact is that they have lost their trust and authority with a strong majority of the American public, and that’s the name of this tune. Me, I don’t think academic alphabet soup after one’s name or a byline in the NYT liberates anyone from the bias and shading of the argument that we’re all prone to. Because The Anointed are human beings, too. Sort of. I see the Washington Post's "Wonkblog" has set out to "demolish" the Trump position that immigration is associated with crime. Right from the start, "demolition" seems a curious goal for a "wonk," by the name of Christopher Ingraham, whose interest is supposed to be about facts and figures. Yet Mr. Ingraham don't even begin with numbers. What instead is his purely factual starting point? It is Trump's "notion that immigrants here illegally commit more crime." This "notion," of course, is the Post's headline, not Trump's actual words. What is the source of the Post's claim about Trump's "notion"? It is the White House's "alarmist accounts" and "exaggerated  threat[s]," including about MS-13. If you're like to accept the Post's framing of the question then you don't even need to hear the answer. Anyway, the Post wonk sets out to "demolish" Trump's supposed "notion" by positing immigrants commit far fewer crimes than native-born citizens. Pardon me, that is not quite right. The precise conclusion of the Cato study covered in the piece is that fewer immigrants were "convicted" of crimes in 2015 in Texas. Apparently researchers looked at data submitted by Texas prosecutors about their criminal cases. But do we know how many total victims there were? Do we know how many charges were successfully prosecuted against each criminal? Do we know how many victims each crime created? The wonkperson's reporting does not indicate. Obviously, innocent citizens have as much to fear from a single criminal who perpetrates multiple or repeated crimes than multiple offenders who perpetrate a single crime on a single occasion. Moreover, certain groups can be particularly victimized: Brussels Jews had their Purim festival canceled in 2016 because of security concerns. Such measures might help keep immigrant crime stats down, but where on the ledgers are these special costs entered? Without it, there is no way to "demolish" citizens' fears, or Trump's prescriptions for them. It seems "demolition" may need to wait. 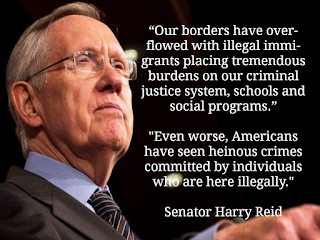 And what do we know of the number of immigrant crimes that are reported -- or underreported? I see this question has been vexing research of the issue for many years, confounding attempts to understand the issue. The MS-13 gang began as an outgrowth of underreported immigrant crime: Los Angeles immigrants from El Salvador in the 1980s formed the gang to protect themselves from fellow-immigrant predators there. And how have law enforcement attitudes changed since then? Just a New Year's celebration ago the world saw that a mass sexual assault could be covered up by every organ of the state. If that's progress, say the half of America that elected Trump, include us out. Despite the sympathy of the host country's leadership to immigrant communities, PolitiFact tells us our "overall understanding of immigrants and crime 'remains confused.'" We still don't know how often immigrants fail to report crime, or why. PolitiFact also tells us "incarceration rates are a poor way to measure links between immigrants and crime." The sappers may need to resolve this internecine feud before they get to work "demolishing" the President's claims. Back to the Post piece. Immigrants, whether documented or no, according to studies that apparently focus on the number of criminals rather than the number of crimes -- and which apparently do not account for underreporting -- are actually more law-abiding than native-born citizens. Is this meant to be any more surprising than the well-accepted assumption that airline passengers are more law-abiding than the general population? And yet to my knowledge the Wonkblog has never undertook to demolish policies for airline security or chastised "alarmist accounts" of terrorists' attempts -- successful and otherwise -- to hijack and blowup planes. To the contrary, it is firmly accepted that criminals who get on airplanes are punching above their weight. Why isn't it even considered remotely plausible, let alone accepted, that foreign criminals who cross our border are punching above their weight? On what purely scientific basis is immigrant crime deemed to be no more frightful or alarming than native-born crime? How do we check the fact-checkers' values? Perhaps it is plausible that, if we assume the immigrant is law-abiding, the immigrant will remain law-abiding: why make the arduous journey only to piss it away on a life of crime? But it is equally plausible that, if we assume the immigrant is, say, an MS-13 gang member at the time of entry, we might likewise presume the immigrant will remain a criminal menace once here. MS-13 produces many more victims, and with much greater brutality, than the average native-born criminal does. This would suggest the conclusion it may well be reasonable to conduct some sorting before allowing in an undifferentiated mass of people, even assuming they are on average a more law-abiding bunch than the current cohort. We have no less need to sort immigrants than we do airplane passengers. Assuming the average decency of a cohort of people does not excuse us from preventing the great risks that may be created by a small subset. So the most we can conclude so far from the Post piece is that an effective open-borders policy does not create a greater number of criminals, even if it tells us nothing about the total effects these criminals are having on Americans. ""We're talking about third- and fourth-generation [immigrants]; these youngsters are born in Belgium, even their fathers and mothers are born in Belgium, and still they are open for these kind of messages. This is not normal -- in the U.S., the second generation was the President; here, the fourth generation is an IS fighter -- so that is really something we have to work on."" Do you object to my citing the Belgian Interior Minister? Why? Do you assume immigrants are unequal in their capacity to become good citizens? Do you assume that countries are unequal in their ability to assimilate immigrants? One of the greatest experimental scientists of Francis Bacon's time, William Harvey, said science was more than merely making observations -- "the vital factor of judgment [is] about what to observe and what to pay attention to." Are the Washington Post or other mainstream news sources providing reporting that meaningfully probes these basic assumptions underlying immigration? Or do you think they are leaving out something important? And do you think this omission is sending readers to other sources, including President Trump, to support these plausible and existentially relevant assumptions? 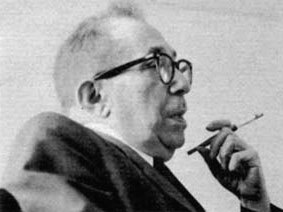 THE OCCASION WAS LEO STRAUSS’ [1899-1973] years-long correspondence with the brilliant and mercurial Hegel scholar Alexandre Kojève [1902-1968], contained in the volume “On Tyranny.” The Google books preview is HERE. Alexandre Kojève invaluably got the European Union started, and Francis Fukuyama, author of The End of History, was his student. By contrast, Uncle Leo had a visage like a potato. Although the cigarette holder is a nice touch. But we digress yet again. Dang us! The “End of History” is the not-unlikely prediction that human progress will one day yield something resembling today’s Western World, a bourgeois liberal democracy where everyone’s material needs are met and political division is quieted by the rise of a Universal and Homogeneous State. There will be nothing left to fight about. Philosophy becomes democratized, the parable of Plato’s cave rendered un-egalitarian and therefore obsolete—if not obscene to modern sensibilities. Strauss, faced with an effective rebuttal by Kojève of Strauss’ original essay about trying to advise tyrants not to be so tyrannical, on Xenophon’s “Hiero,” was obliged to write a “restatement.” The story is here. Ah, I’ve taken too much of the gentle reader’s time with preface. I did want to convey the gravity and historical importance of the philosophical issues, laid bare in the Strauss-Kojève correspondence—the clash of the classical and modern worlds played out in the EU/UN/and America’s own left-right context. Hope it enhances the below Strauss excerpt, the final paragraphs near the end of his Restatement. NB: Although he was an "admirer" of the American liberal system, Strauss is quite the Platonist. He mocked Wilsonianism, and wouldn’t be caught dead in a field with messianic democracy. “There is no longer fight nor work. History has come to its end. 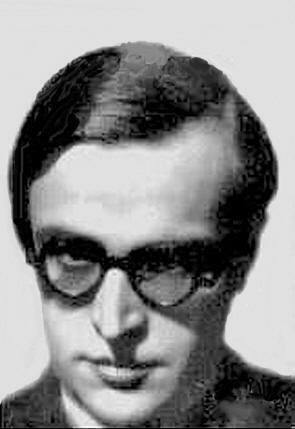 There is nothing more to do.” This end of History would be most exhilarating but for the fact that, according to Kojève, it is the participation in bloody political struggles as well as in real work, or generally expressed, the negating action, which raises man above the brutes. The state through which man is said to become reasonably satisfied is, then, the state in which the basis of man’s humanity withers away, or in which man loses his humanity. It is the state of Nietzsche’s “last man.” Kojève in fact confirms the classical view that unlimited technological progress and its accompaniment, which are the indispensable conditions of the universal and homogeneous state, are destructive of humanity. It is perhaps possible to say that the universal and homogeneous state is fated to come. But it is certainly impossible to say that man can reasonably be satisfied with it. If the universal and homogeneous state is the goal of History, History is absolutely “tragic.” Its completion will reveal that the human problem, and hence in particular the problem of the relation of philosophy and politics, is insoluble. For centuries and centuries men have unconsciously done nothing but work their way through infinite labors and struggles and agonies, yet ever again catching hope, toward the universal and homogeneous state, and as soon as they have arrived at the end of their journey, they realize that through arriving at it they have destroyed their humanity and thus returned, as in a cycle, to the prehuman beginnings of History. Vanitas vanitatum. Recognitio recognitionum. Yet there is no reason for despair as long as human nature has not been conquered completely, i.e., as long as sun and man still generate man. There will always be men (andres) who will revolt against a state which is destructive of humanity or in which there is no longer a possibility of noble action and of great deeds. They may be forced into a mere negation of the universal and homogeneous state, into a negation not enlightened by any positive goal, into a nihilistic negation. While perhaps doomed to failure, that nihilistic revolution may be the only action on behalf of man’s humanity, the only great and noble deed that is possible once the universal and homogeneous state has become inevitable. The Chief of the universal and homogeneous state, or the Universal and Final Tyrant will be an unwise man, as Kojève seems to take for granted. To retain his power, he will be forced to suppress every activity which might lead people into doubt of the essential soundness of the universal and homogeneous state: he must suppress philosophy as an attempt to corrupt the young. The philosophers in their turn will be forced to defend themselves or the cause of philosophy. They will be obliged, therefore, to try to act on the Tyrant. Everything seems to be a re-enactment of the age-old drama. But this time, the cause of philosophy is lost from the start. For the Final Tyrant presents himself as a philosopher, as the highest philosophic authority, as the supreme exegete of the only true philosophy, as the executor and hangman authorized by the only true philosophy. He claims therefore that he persecutes not philosophy but false philosophies. The experience is not altogether new for philosophers. If philosophers were confronted with claims of this kind in former ages, philosophy went underground. It accommodated itself in its explicit or exoteric teaching to the unfounded commands of rulers who believed they knew things which they did not know. Yet its very exoteric teaching undermined the commands or dogmas of the rulers in such a way as to guide the potential philosophers toward the eternal and unsolved problems. And since there was no universal state in existence, the philosophers could escape to other countries if life became unbearable in the tyrant’s dominions. The original rationale and the traditional rationales for U.S. participation in NATO included:  Europe was broke after WWII (including the European nations among the allies which won the war);  Europe was fractious and disorganized; and,  a disunited Europe faced a unified (atheist and communist) Soviet Union (and later Warsaw Pact bloc) with designs on dominating (at least) Western Europe. That world is gone, and with it, the original and traditional rationales for continued U.S. participation in NATO. Today, Europe is not broke. Today, Europe is not disorganized (e.g., Council of Europe, EU, etc.) And today, the Soviet Union, Warsaw Pact, and expansionistic atheistic world communism are no more. It is true that Russia is a great regional power, and it is a real threat to its neighbors. But Russia is a threat which Germany and France, in cooperation with one another and with other European countries, can defend themselves from. Russia is only an American problem is you adopt the near messianic mission that the U.S. defense perimeter must include each and every nation of Western, Central, and Eastern Europe—including nations spun out of the former Soviet Union. If, in Professor ABC’s words, “El Caudillo” shifts the burden of defending Europe from the U.S. onto Europe—i.e., onto Europe’s soldiers and taxpayers—that might be a yuuge win for the United States—and the U.S.’s soldiers and taxpayers. It strikes me as the sort of policy difference that is part-and-parcel of “normal” democratic politics (as opposed to “El Caudillo” politics). Nor should Trump’s position come to us as a total surprise. This issue was contested during the presidential election. See https://www.factcheck.org/2016/05/whats-trumps-position-on-nato/. Again: all normal politics. Given the all too recent destruction of the Libyan state, under NATO auspices, by a joint adventure of the U.K. and France (with a green light from the U.S.’s State Department under Secretary Clinton), a serious unwinding of America’s defense commitments to NATO (and, perhaps, elsewhere) might put a needed damper on other such misadventures. The future of the EU is in the hands of EU institutions, its member states, and the people(s) of Europe. When President Obama visited the U.K. and urged its people to vote against BREXIT, he did so at the request of the elected Prime Minister, but a majority of U.K. voters voted otherwise, and Cameron resigned. Surely some U.K. voters and some U.K. government officials were alienated by the President’s intervention. Was our ally, the U.K., alienated by President Obama’s intervention? It is a tricky question. The same is true with regard to Trump’s policies which impact our allies. Maybe some officials in the governments of our allies are alienated by Trump’s policies: that is quite possible. But neither Trump nor those foreign officials will be in office forever. Asserting that our allies are alienated seems a bit premature. Perhaps, one reason that some of our allies’ governments are “alienated” is that Trump appeared quite serious in telling our allies to meet their 2%-of-GDP defense commitment—a NATO policy. It is a policy which is only being met by about 5 of NATO’s 28 members. See http://time.com/4680885/nato-defense-spending-budget-trump/. It might surprise some on this listserv that some Americans are alienated by our forever footing the defense bill (including the all too real human costs) on behalf of the free riders of Europe. What Is Going On At Student Law Reviews? After hardcopy publication of Professor Victoria Nourse’s article in California Law Review (“CLR”), and in response to my critique, the student editors at CLR removed these quotation marks from extant electronic reproductions of Nourse’s article. Nonetheless, the student editors refused to publish any response by me in CLR or in CLR Online. Furthermore, I have received no assurances that an errata sheet will be published in any subsequent issue of CLR. Finally, I have no idea if these post-publication changes to Professor Nourse’s article were made with her approval, and I have received not one word of explanation from Professor Nourse in regard to all these strange goings-on. 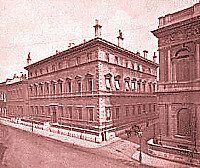 Seth Barrett Tillman, What Is Going On At Student Law Reviews, New Reform Club (June 11, 2018, 5:57 AM), https://reformclub.blogspot.com/2018/06/what-is-going-on-at-student-law-reviews.html. 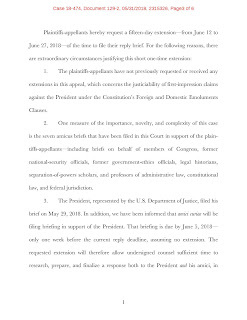 The passage above will appear in my next publication: Seth Barrett Tillman, The Foreign Emoluments Clause—Where the Bodies are Buried: “Idiosyncratic” Legal Positions, 59 S. Tex. L. Rev. 237 (forth. circa July 2018) (invited symposium contribution), https://ssrn.com/abstract=3096986. The passage is speaking to a recent publication by Professor Victoria Nourse. See Victoria Nourse, Reclaiming the Constitutional Text from Originalism: The Case of Executive Power, 106 Calif. L. Rev. 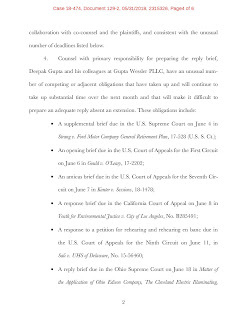 1 (2018), http://www.californialawreview.org/wp-content/uploads/2018/04/1Nourse-33.pdf. It is with great sorrow that we note the passing of our blogbrother, Mark DeForrest, who passed away at age 48 on June 2 after a brief illness. Since webpages come and go at institutions, it seems right to inter his CV, bio, and links to his most important legal scholarship here permanently at the New Reform Club, his home on the internet. You are already missed, my friend. Already missed. After graduation from law school, Mr. DeForrest was accepted into the Washington State Bar. 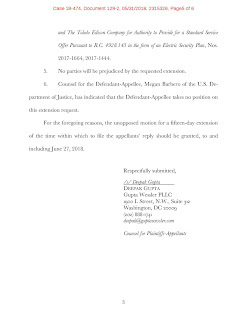 He then clerked for the judges of the Superior Court of the State of Washington for Chelan County. In the course of his clerkship he worked on a variety of cases across the full range of both the civil and criminal dockets. 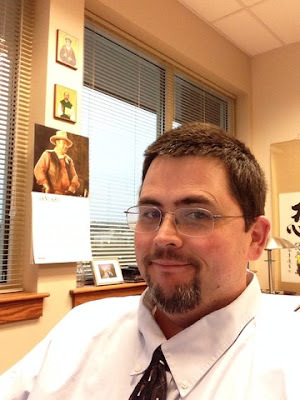 He began his academic career in 1999 when he was appointed as a full-time lecturer in the Department of Law; Justice at Central Washington University in Ellensburg, Washington. He taught criminal procedure, family law, correctional law, and legal research to undergraduate students for two years. In the fall of 2001 Professor DeForrest returned to Gonzaga Law School and began work as a legal research; writing instructor. After a year as a visitor, he was appointed as a regular member of the legal research; writing faculty. In 2003 he was promoted from instructor to assistant professor of law in the legal research; writing program. In 2010 he was promoted from assistant professor to associate professor. He has also taught First Amendment law, professional responsibility, sentencing; corrections, and jurisprudence at the law school. 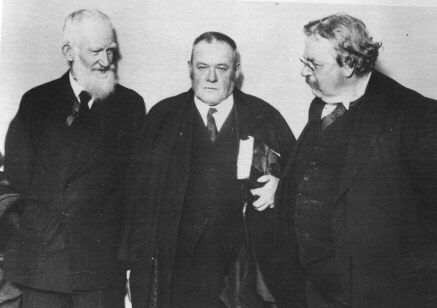 Professor DeForrest is a member of the Washington Bar. Teaching Legal Analysis: the Early Years—From Deconstruction to Construction. Northwest Regional Conference of Teachers of Legal Methods, Writing, and Research, Seattle, Washington, September 9, 2005 (co-presented with Professor Cheryl Beckett, Director of Legal Research; Writing, Gonzaga University School of Law). Seth Barrett Tillman, CREW v. Trump (2d Cir. 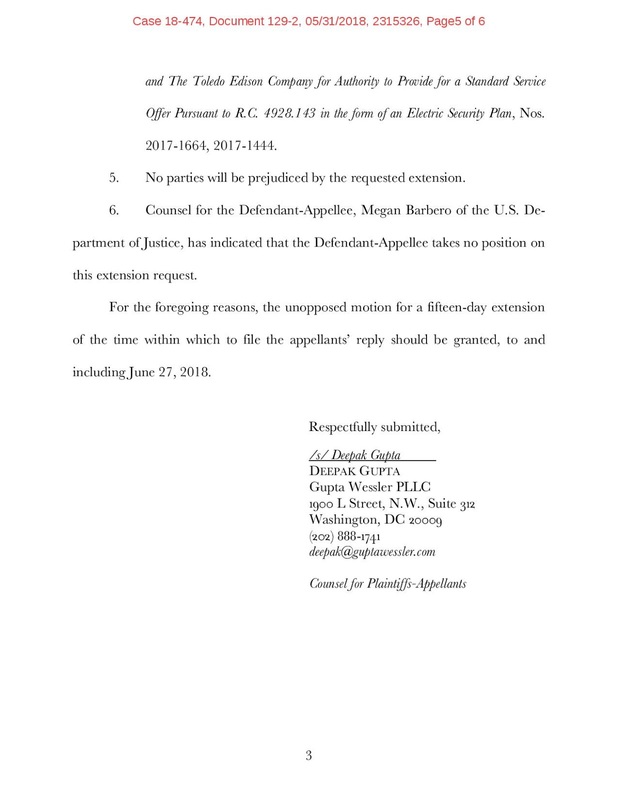 May 31, 2018): Plaintiffs second request for an extension--this time for a reply brief, New Reform Club (June 3, 2018, 12:00 PM), https://reformclub.blogspot.com/2018/06/crew-v-trump-2d-cir-may-31-2018.html. 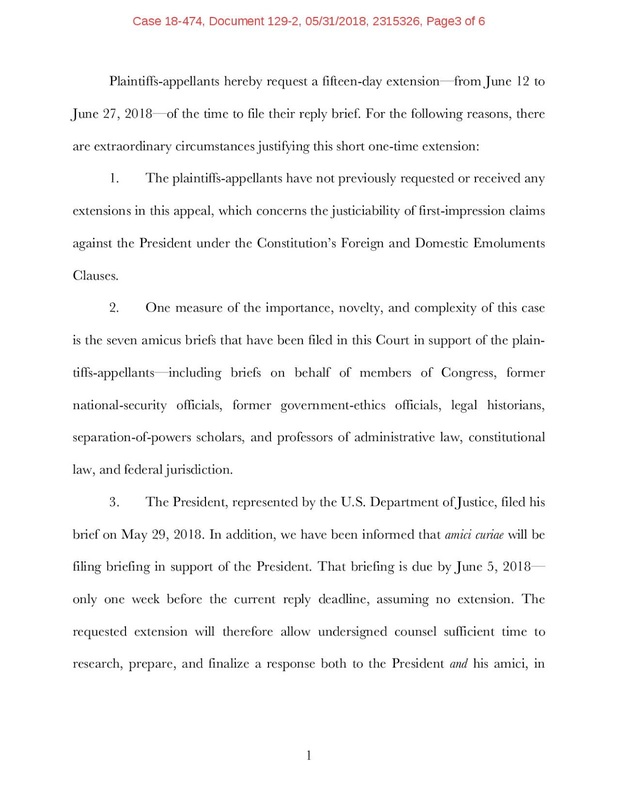 Plaintiffs' document is here: Appellant's [sic] Unopposed Motion for an Extension of Time to File Reply Brief, CREW v. Donald J. Trump, in his official capacity as President of the United States of America, No. 18-474 (2d Cir. 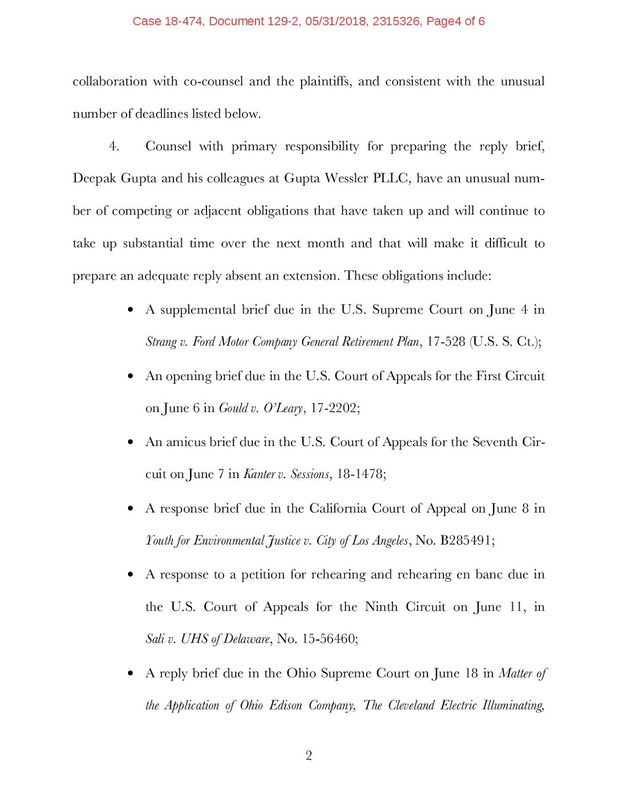 May 31, 2018), ECF No. 129-2.